The Oklahoma republican gubernatorial candidate chosen in the primary is Mick Cornett with over 29 percent of the vote, followed by Kevin Stitt with nearly 25 percent of the vote. The Oklahoma democratic gubernatorial candidate moving on to the general election is Drew Edmonson with nearly 62 percent of the vote. The Oklahoma libertarian gubernatorial candidate chosen in the primary is Chris Powell with almost 49 percent of the vote, followed by Rex Lawhorn with over 32 percent of the vote. The state auditor and inspector republican candidate chosen in the primary is Cindy Byrd with over 49 percent of the vote, followed by Charlie Prater with just over 42 percent of the vote. The attorney general republican candidate chosen in the primary is Mike Hunter with over 44 percent of the vote, followed by Gentner Drummond with better than 38 percent of the vote. The superintendent of public instruction republican candidate chosen in the primary is Joy Hofmeister with nearly 47 percent of the vote, followed by Linda Murphy with just over 31 percent of the vote. The insurance commissioner republican candidate chosen in the primary is Glen Mulready with nearly 55 percent of the vote, ahead of Donald Chasteen, who received just over 45 percent of the vote. The corporation commissioner republican candidate chosen in the primary is incumbent Bob Anthony with over 47 percent of the vote, followed by Brian Bingman with more than 38 percent of the vote. The corporation commissioner democratic chosen in the primary is Ashley Nicole McCray with nearly 49 percent of the vote, followed by Blake Cummings with just over 22 percent of the vote. The United States representative republican candidate, who filed unopposed in the primary, is incumbent Frank Lucas. The democratic runner moving forward to run against Frank Lucas in the November general election will be Frankie Robbins, who received almost 65 percent of the vote. The Oklahoma state representative republican candidate for District 61 is Kenton Patzkowsky with 42.07 percent of the vote, followed by Brad Raven with 31.73 percent of the vote. The Oklahoma state representative democratic candidate for District 61 is Ashley Lehnert, who filed unopposed in the democratic primary. chosen in the primary is Dana Murphy with nearly 46 percent of the vote, followed by Matt Pinnell with almost 36 percent of the vote. The Oklahoma lieutenant governor democratic candidate chosen in the primary is Anastasia A. Pittman with over 50 percent of the vote, ahead of Anna Dearmore with over 49 percent of the vote. The Oklahoma commissioner of labor republican candidate chosen in the primary is Cathy Costello with over 43 percent of the vote, followed by Leslie Osborn with nearly 36 percent of the vote. The Oklahoma commissioner of labor democratic candidate moving on to the general election is Fred Dorrell with almost 74 percent of the vote, well ahead of Sam A. Mis-Soum with over 26 percent of the vote. On State Question No. 788, Petition No. 412, Oklahoma voters chose in favor of passage with nearly 57 percent of the vote. Governor Mary Fallin has advised that a special session may be called to address SQ 788. The Oklahoma State Department of Health sent out an immediate release following the passage, noting the board of health will address emergency rules governing the Oklahoma Medical Marijuana Authority at its July 10 meeting, with application information and requirements to be available by July 26. Applications will be accepted no later than Aug. 25. 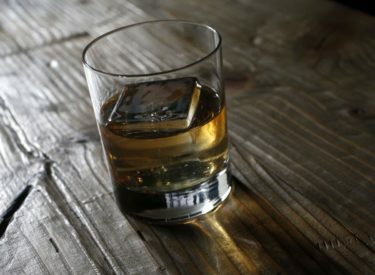 In Texas County, voters chose to allow restaurants to serve liquor by the drink on Sundays, passing the proposition with 53.88 percent of the vote. A runoff primary election may be called in the case where a candidate did not receive a majority of the vote in the first primary.